Naby Keita’s injury early on in the first half was just one of the frustrating moments as LFC lost to Napoli, and Reds fans were quick to point out what might have caused it. Jurgen Klopp confirmed that it was a back injury that the midfielder had sustained but was not able to offer any more information immediately after the game ended. “We will have to wait,” was all he would say when asked, according to Chris Bascombe. By tomorrow, more medical diagnoses should have taken place. The pitch in Italy was really poor and nowhere close to being appropriate for a top-level game, and it seems that Keita might have paid the price having gone down seemingly without being challenged. 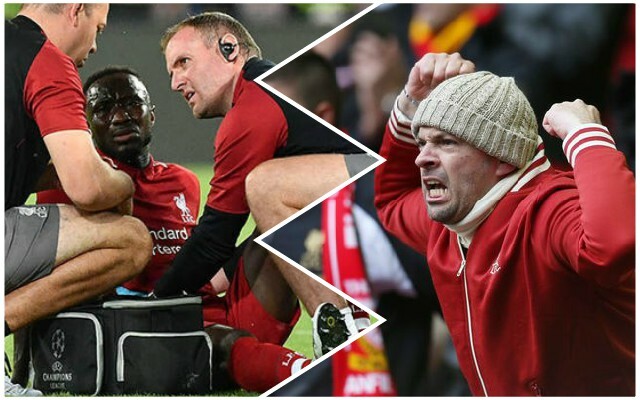 All we know for sure is that Keita had to go off and be replaced by Jordan Henderson – but many Reds speculated that the turf was to blame for the injury. Napoli’s pitch is an absolute joke. Disgraceful for a top European side. Not by any means saying that it’s the reason that Keïta has injured himself, but there is for sure a chance that it at least played a part. Can’t believe Keita is injured, ofc it had to be Napoli’s horrendous pitch to do it. Imma blame Napoli's League Two-tier pitch for everything—the missed passed, Keïta's injury, everything.